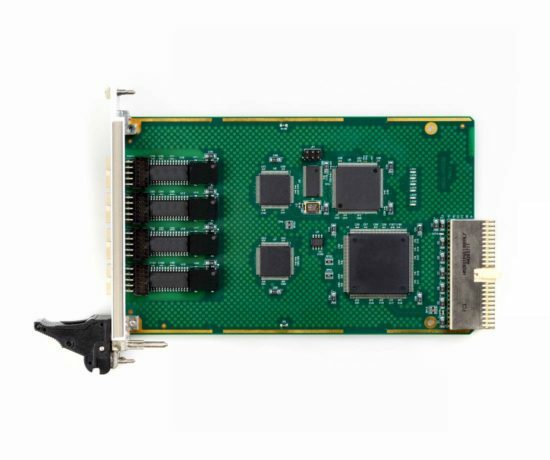 The HDLC104 is a four channel HDLC communications controller on a single PC/104 card. 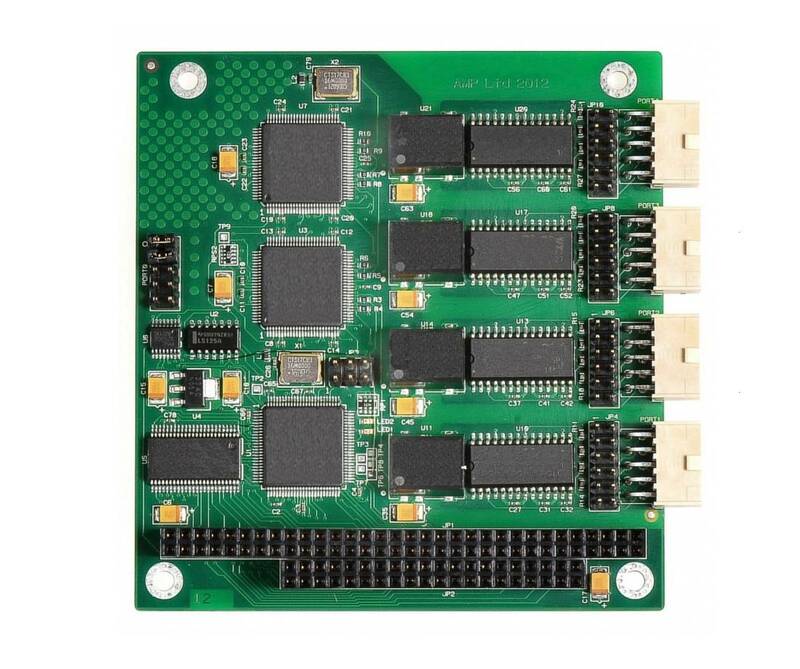 The HDLC104 uses a high performance, industry standard serial communication controller to provide 4 independent channels that can be configured for either HDLC-Synchronous or Asynchronous communication. 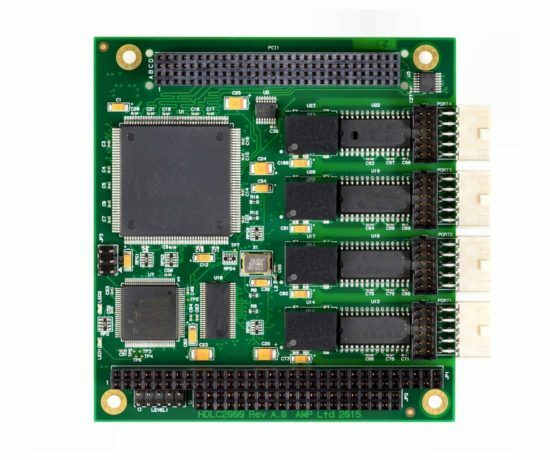 The HDLC104 has been designed for demanding transportation and industrial applications. The HDLC104 supports an extended temperature operation range of –40°C to +85°C. All 4 ports feature galvanic isolation up to 2000Vrms. Each of the 4 channels can be individually configured for RS-232, RS-422 or RS-485 electrical interface. Each channel has independent receive and transmit FIFOs that allow high speed serial data rates. 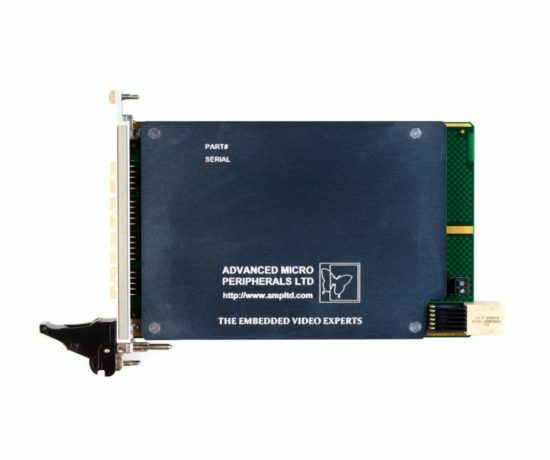 Intelligent interrupt hardware and flexible address decoding allow the HDLC104 card to occupy only 32bytes of IO space and a single IRQ line on a PC/104 system. The HDLC104 is available with software drivers for Linux, Windows, and Windows-CE6.0/7.0 (x86).